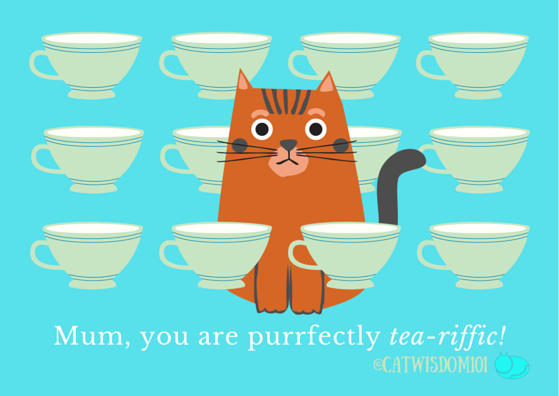 Mother’s Day is tomorrow and we have a rallying cry: Cat Moms of the World Unite. 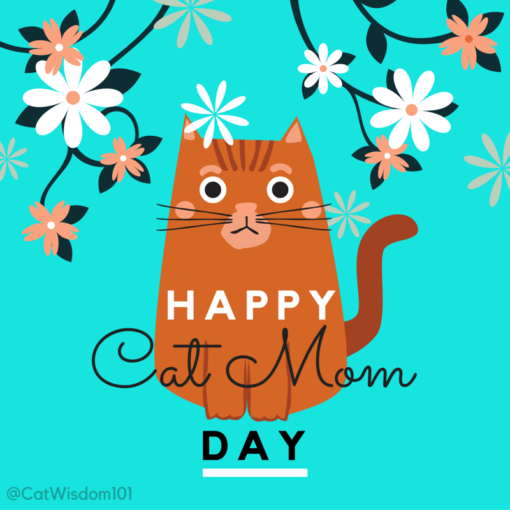 I’m a step-mom to two adult kids but my true mothering is to my cats. You’ve probably seen this cartoon make the rounds online over the years and it still cracks me up. We can relate because we are a real moms even if we don’t have two-legged kids. From raising kittens to geriatric hospice care, the time, love, sacrifice not to mention the poop scooping, hand-feeding, hand-wringing 24/7. If you’ve done it, you know what I’m talking about. It’s the same devotion and love any mother provides without hesitation. Emergency vet visits, coddling and sleepless nights go unspoken but without the respect they deserve. If a human toddler kept you up with projectile vomiting, you could call in sick. 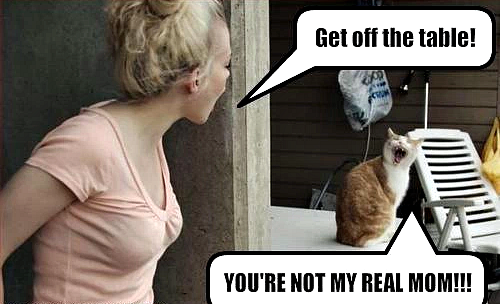 But tell your boss your cat kept you up and he might not be as sympathetic. And heaven forbid, a child of any age dies, the mom receives a mountain of sympathy. If a cat dies, you’ll be expected back at work, business as usual, but the world is making small inroads and all the more reason for cat moms of the world unite! Some companies are offering pet bereavement days. Pet insurance company Trupanion gives employees one paid pet bereavement day. That’s a start but some go further. Mars, the Virginia-based candy and pet food maker offers one or more days off, flexible hours or freedom to work from home after a pet’s death. The pet-friendly Kimpton Hotels and Restaurants chain offer employee perks from pet insurance, bereavement leave in the event of a pet death, as well as on-site amenities for employee pets. Ben & Jerry’s doesn’t have an official policy, but said they would gladly give employees a “few days off for bereavement”. Does your place of employment offer pet bereavement days? Cat moms like any other moms, deserve to be celebrated so we made some cards for sharing. We’re been loving Pinterest lately because we can easily Pin an image and share it to Twitter and Facebook in one step. 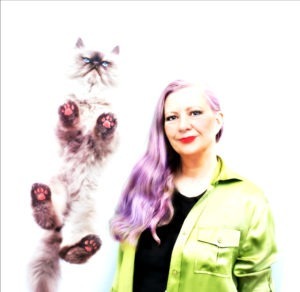 We even posted about cat moms at our other blog BoomerMuse (and some yummy recipes). Tell us how you’re celebrating Mother’s Day. I know ours will involve kitty cuddling. P.S. 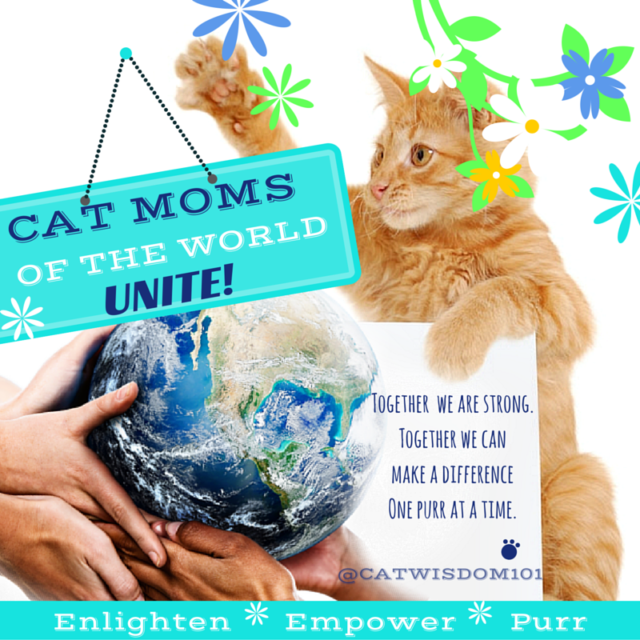 Do you notice our new “ENLIGHTEN EMPOWER PURR” Cat Wisdom 101 tagline? We’re going to be helping you find your inner PURR more than ever! Elaine, send me a post if you like. I love the cartoons. So true. Loved this article. I’m a mother of 2 teens and a catmom to 2 felines. Each one of my children brings joy to me? Happy Mother’s Day, Layla. I think all companies should offer time off for pets. I’m lucky and my boss is an animal lover with three rescued dogs. If I need a day, she totally understands. Love this post! 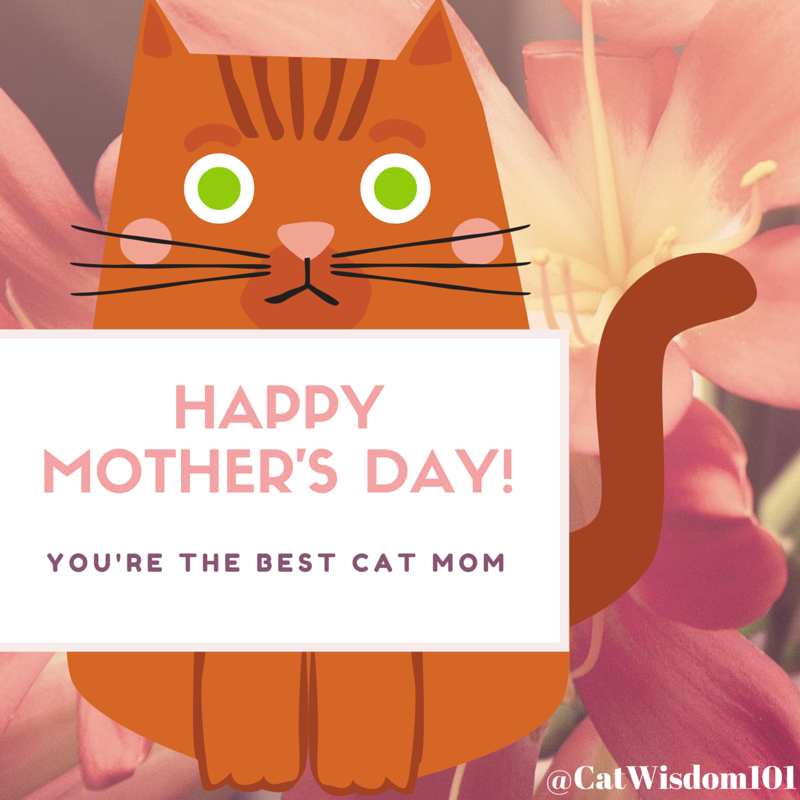 Hope you’re having a purrfect Mother’s Day. Happy Cay Mom Day Layla! I hope the furry ones gave extra purrs and snuggles! Great post. Wishing you a wonderful Mothers Day! Mother isn’t just a word for someone that gives birth. Mother is a person that nurtures,corrects,teaches,protects, comforts,heals,limits, pushes,shelters and so many more things. Mother is a state of being, it has no limits on the kind of offspring that it applies to. I have not given birth to a single child yet I have a multitude of children both human and animal. We think it is wonderful that others are starting to realize, understand and accept that we as pet parents suffer our losses as deeply as others suffer theirs. Hpppy Mother’s Day to everyone that is in truth a Mother!!!!! Brilliantly put. A gem of a comment on a brilliant post by Layla. Those are all beautiful photos/graphics. Happy Mother’s Day! Happy Mother’s Day to you, Layla! Pet bereavement days are important. After brown-striped-tabby-witjh-emerald-eyes Emma Peel (1972-1992) RIP left, I was a basket case all week and lost 10 pounds from lack of appetite I couldn’t afford to lose. Am going to FaceTime with my two boyz soon. Am in Seattle visiting my baby sister. Love the idea of kitty Facetime! Happy CatMom Day to you, Miss Layla! Thanks guys and same to your mom! Happy Mother’s Day to everyone who nurtures a child, pet, classroom, congregation or garden! Happy Mother’s Day Layla. Apologies for glitches today. We’re updating to the latest version of WP.